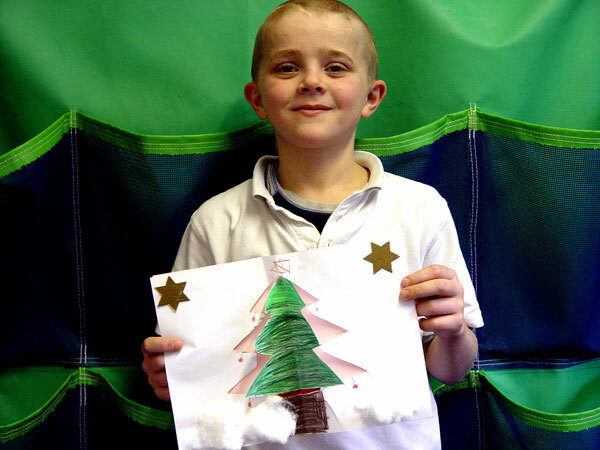 Gold Class have been getting into the Christmas spirit by making some spectacular pop up Christmas cards. We have been learning about different materials during our D & T sessions, and so this seemed like the perfect opportunity to put our knowledge to a practical use. The pupils decided which materials they thought would be suitable for a Christmas card, and then we went about making our designs. The children carried out all of the preparation and cutting out. This is a great task to help improve our motor neuron skills. With the Gold Class Christmas cards now complete, our final task is to decide who we want to send them to, and to prepare a pleasant Christmas greeting.